Home / Retail / BlackBerry tablet to launch next week? BlackBerry tablet to launch next week? RIM could launch a BlackBerry tablet to rival the iPad as early as next week, when it holds a developers’ conference in San Francisco. Sources told the Wall Street Journal that the device – which has been referred to as the BlackPad – is scheduled to hit shelves in the fourth quarter of the year. It will reportedly have a seven-inch touch screen, one or two inbuilt cameras, and bluetooth and broadband connections, but will only be able to connect to mobile networks through a BlackBerry smartphone. According to the WSJs sources, RIM’s tablet will not feature the recently revamped BlackBerry 6 operating system, instead running a completely new platform built by QNX Software Systems, which RIM bought earlier this year. 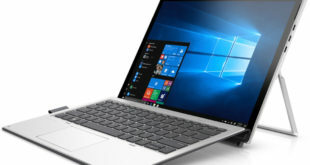 They added that the tablet is being manufactured by Taiwanese firm Quanta Computer, and will run on chips from California-based Marvell Technology Group. RIM recently bought up the www.blackpad.com domain name, fuelling speculation over the name of the device. The firm’s DevCon event takes place from September 27th to 30th.